The Cherry Mobile Flare S6 lineup is definitely the brand's milking cow for this 2017 as they have already sold a whopping 300,000+ devices under this series. And before the year ends, they add one more handset in the S6 family, the limited edition Flare S6 Premium. 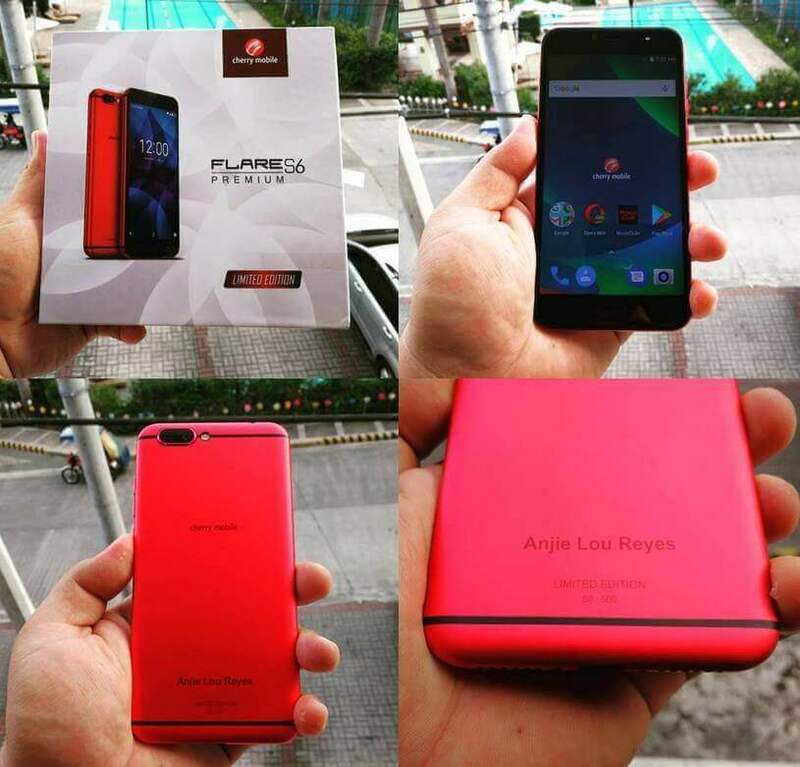 The Cherry Mobile Flare S6 Premium Limited Edition packs a very decent specification. It has a 5.5-inch display made of an IPS panel with Full HD resolution and topped with Corning Gorilla Glass 3 for protection. On the inside, it is powered by MediaTek's Helio X27 10-core processor paired with a huge 4GB of RAM and 64GB of expandable storage. The chipset is MT6797X or commonly known as Helio X27, it is an upgrade (higher CPU and GPU frequencies) to the previous MT6797 Helio X20 found inside the Cherry Mobile M1. In terms of photography capability, there are two 13MP Sony cameras mounted on its back, both of which are Sony IMX258 sensors. The main cameras offer Pro Mode, Bokeh effect, and the ability to refocus on a subject after taking the shot. Meanwhile, another 13MP shooter is placed in the front for taking selfies, and is accompanied by its own LED flash. The other notable specs are HiFi Audio, USB Type-C port, fingerprint sensor, large 3680mAh battery with MediaTek Pump Charge 2.0, and runs on Android Nougat. Sadly, this is not currently for sale, Cherry Mobile only released 500 units of Flare S6 Premium, all of which are given to dealers, partners, endorsers, and select media personalities. Hopefully, they would release the consumer variant, as this is one of the most powerful phones from CM to date.